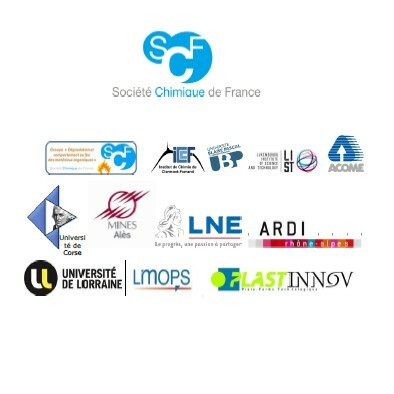 This colloquium brings together interested people from science (students and researchers from academia and research centres), from industry (engineers, aircraft designers, parts manufacturers,…) and professionals from or related to public services, who are working in the field of fire safety in aeronautics. For 20 years, the fire threat in aeronautics has been drastically reduced. But in new generation aircrafts the massive use of flammable composites, substituting metallic structural elements, changes the understanding of fire risk, and influences the fire safety approach for passenger and crew safety and survivability during fire incidents. As recent contribution the FP7 project AircraftFire (AcF) is aimed at the characterisation of the flammability and burning properties of aeronautical composites for fuselage, wings, structures, fuel tanks, cabin materials and their influences on the mechanical behaviour and at the investigation of the effects on in-flight fire growth in the cabin and on passenger evacuation during post-crash fire. The first part of the meeting, on July 8th, will provide “Fundamentals and state of the art in fire safety in aeronautics”. Experts from the AircraftFire project will present the main physical phenomena involved in aeronautical fires as well as the experimental and numerical methodologies developed by AircraftFire. The 3rd Conference on Fire in vehicles will be held in Berlin, Germany, 1-2 October, 2014. AMI conferences offer delegates the opportunity to meet and network. We develop programs using the skills and contacts from within our own consulting business and choose topics and speakers with great care. More importantly we do not just organize conferences. AMI makes a major contribution to each conference it organizes. AMI always provides at least one, and sometimes several, keynote presentations at each conference. So you can be sure that when you attend our conferences you will not only hear from industry experts, but also receive essential papers from AMI. AMI’s Fire Retardants in Plastics conference has rapidly become an essential meeting place for the industry, attracting an international audience made up of leading players from throughout the supply chain. In addition to high-level presentations, the conference also provided the ideal networking forum to share ideas and discuss new solutions for flame retardant plastics that meet and exceed the performance, environmental and health requirements of the future. Pinfa-NA, SAMPE and State of Washington Department of Ecology is sponsoring this event to present trends in flame retardants and advanced materials technology solutions in the aviation design and manufacturing industries. Attendees will hear from Aviation OEMs, regulatory experts and solutions providers regarding needs in the growing aviation industry. An introduction to the latest developments in flame retardant technologies will be presented on the opening afternoon. The conference will continue with presentations from experts in the aviation field regarding environmental, regulatory and testing requirements as well as advanced manufacturing and materials technologies. Jeff Gardlin (U.S. FAA); Gus Sarkos (U.S. FAA); Richard Lyon, PhD (U.S. FAA); Alex Morgan, PhD (University of Dayton Research Institute); Adrian Beard, PhD (Clariant); Lauren Heine, PhD (Clean Production Action); Scott Beckwith, PhD (SAMPE); Michael A. Delichatsios, Prof. (University of Ulster, UK); Charles Wilkie, PhD (University of Marquette); The Boeing Company, and more. Solvay Specialty Polymers has expanded its Kalix® high-performance polyamide (HPPA) product line with the introduction of a new series of halogen-free flame retardant (HFFR) materials offered for use in structural parts for smart mobile devices such as tablets, laptops, and other smart mobile electronics. The newly launched Kalix® HPPA 5000 series complements Solvay’s new portfolio of biobased Kalix® HPPAs for mobile devices which was also introduced today at K 2013 (Hall 6 Stand C61), the 19th International Trade Fair for Plastics and Rubber Worldwide, which runs Oct. 16-23, in Düsseldorf, Germany.